Shouldn't you be out riding? Qwik-Bike is Tyler’s finest full-service motorcycle maintenance shop. We offer everything from basic upkeep like oil and fluid changes, tires, safety inspections and bolt-on accessories while you wait. We have qualified and experienced motorcycle mechanics on staff to evaluate and correct your problems. We offer fast and efficient repairs, adjustments, and part replacements. Qwik-Bike can help you customize your bike with high quality parts and accessories. We offer a full range of performance modifications for your motorcycle, from engines to suspensions and everything in between. We treat your motorcycle like we treat our own. Welcome to Qwik-Bike, your one-stop motorcycle repair shop in Tyler, Texas! 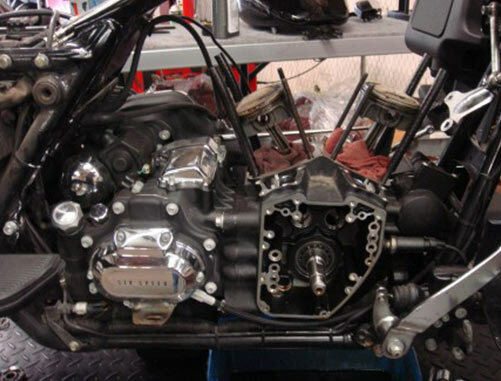 At Qwik-Bike we treat your motorcycle like we treat our own, and that mentality makes our motorcycle service superior. Qwik-Bike is your one stop, full service repair shop for motorcycle repairs, maintenance, and customization in Tyler. Our friendly and knowledgeable staff is happy to help you bring your bike back up to speed or find the perfect customization options you’ve been dreaming of. Call or contact us today. We provide a wide range of services and look forward to hearing from you. From the minute you ride into our lot and walk through the door, meeting your needs is our top priority. 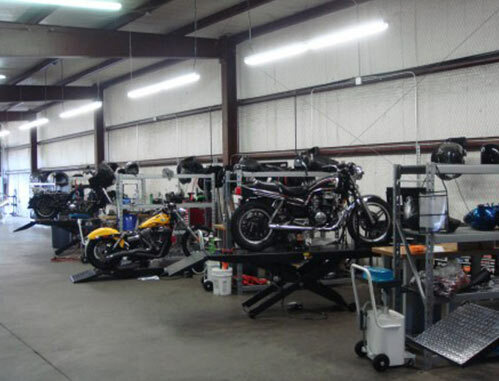 We want to be YOUR full-service motorcycle repair and customization shop in Tyler, Texas! Trust us when we say we can handle just about anything when it comes to your motorcycle needs. From something as minor as a fluid change to building a new engine from the ground up for any make or model – if you need it done, we’re the best in the business to do it. Come by and take a look at our selection. 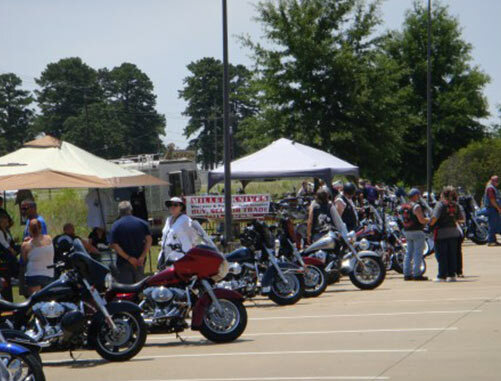 Qwik-Bike has a great selection of pre-owned motorcycles for sale in Tyler, Texas. Whether you’re looking for your first bike or a fully customized and enviable ride, we’ve got what you need to get out there and drive. We are interested in buying your used motorcycle. If you’re looking to sell your old bike or trade up for a newer model, we also buy and trade any and all motorcycles on the market. Contact us today to learn about our current selection of used motorcycles in Tyler, Texas!